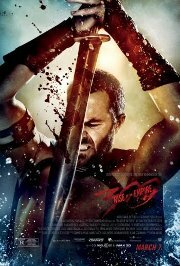 This prequel/sequel to 300 is made in the same graphic style and has plenty of blood and violence. We take a look at Xerxes' backstory and how he built his massive army, as well as the Greeks' attempt to move the battle offshore in the hope of beating the invading hordes. This film is releasing in 2D, 3D and 3D IMAX, this is the 3D IMAX version.